My rule is to never pay more than $1 or a box of cereal, and this deal helps out with that! This deal starts 8/31, but get your coupon before it’s gone! 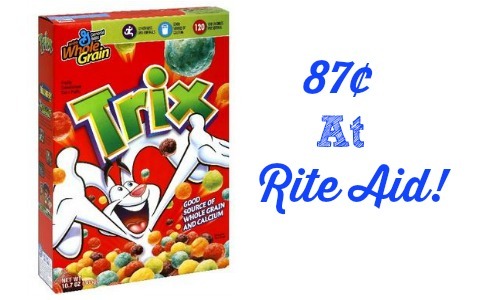 Print the new 75¢ off Trix cereal coupon plus get a $1 Up Reward and use a SavingStar ecoupon to get a box of Trix cereal for 87¢! 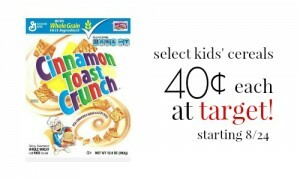 Don’t forget that you can also get an awesome deal on cereal through Saturday at Target!